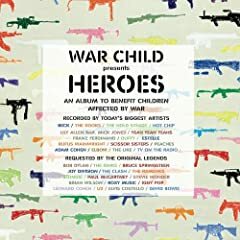 The War Child presents Heroes compilation is out tomorrow. The 16-track covers compilation benefits War Child International, a network of independent organizations that work to provide humanitarian aid to children affected by war. Help yourself to some good music, and help children affected by war in the process. After last week's deluge of quality music releases, this week's list is a bit thin. From what I have already heard, I can definitely recommend Anavan's Cover Story, Black Lips' 200 Million Thousand, Clem Snide's Hungry Bird, and especially Laura Gibson's Beasts of Seasons. A bevy of Ben Harper vinyl discs head up the week's reissues.